Dr. Kate Shannon is an Associate Professor, Director of the Gender and Sexual Health program and Canada Research Chair in Global Sexual Health and HIV/AIDS. 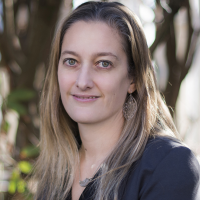 She has over 10 years’ experience leading community-based research aimed at advancing policy and practice towards gender and sexual health equity in Canada, Asia, and sub-Saharan Africa. She is recipient of a 2014 BC AccolAIDS Award in Community/ Political/ Social Action, the 2017 CAHR-CANFAR Canadian Excellence in HIV Research Award, and the 2017 UBC FoM Distinguished Achievement Award for Excellence in Applied Research. She regularly acts as an expert consultant on women, HIV, and human rights guidelines, including WHO, UNAIDS, UNFPA, International AIDS Society, and the Global Commission on HIV and the Law. She has completed over 400 media interviews and engages regularly with policy makers including interventions at Supreme Court of Canada.